Commission (INEC) over its embraced position on the governorship election in Rivers State. In a statement issued by the Deputy Director, Army Public Relations in Charge of 6 Division, Col Aminu Iliyasu, the Army accused the Festus Okoye committee of lack of sincerity in its final report. 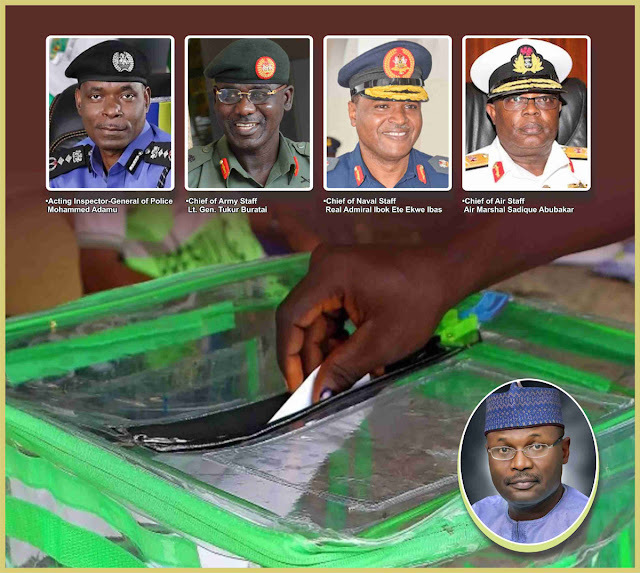 Col Iliyasu said: “Headquarters 6 Division Nigerian Army (NA) have observed with dismay and sense of betrayal in the statement made by the Independent National Electoral Commission (INEC) signed by its National Commissioner and Chairman, Information and Voter Education Committee, Festus Okoye Esq on 15 March 2019. “ It is, however, pertinent to note that, representatives of the 6 Division met with the Fact-Finding Committee on Tuesday, 12 March, 2019 at the INEC Headquarters in Port Harcourt and had honest discussions and made a written submission to aid the committee in its task. “Regrettably, none of the Division’s input from any of the findings of INEC has been made public. This clearly indicates lack of trust by an institution that the NA sacrifices so much to assist in the course of performing their role. “Genesis of the suspension of Governorship/State House of Assembly elections process in Rivers State. What INEC failed to mention or even consider is the fact that at about 10:30 pm on Saturday 9th March 2019, troops of 6 Division NA detailed at the outer perimeter of Obio/Akpor Local Government Headquarters Collation Center were brazenly attacked by Governor Wike’s security aides and armed thugs who stormed the collation center with the Governor in a convoy of more than 50 vehicles while collation of results was going on. “In the ensuing melee, Captain Adams Salami was shot at close range by the security aides of Governor Wike while Corporal Adeosun Adebayo was matcheted by Governor Wike’s thugs. 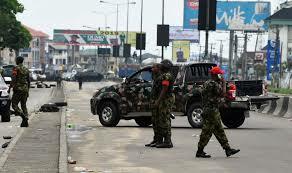 “Consequently, after due consultations and considerations between 6 Division and the Rivers State Police Command on Sunday the 10th of March 2019, the Rivers State Police Command, on their own, – took the initiative to invite the media to the hospitals where the two victims are receiving treatment and thereafter to host a press conference on the matter with the view to dissociate itself from the unprofessional conduct exhibited by their men attached to Wike and tell the public what disciplinary action the command will take or is already taking. “However, while the visit to the victims was accomplished and the two victims interviewed by the media, the press conference was aborted by the Police after journalists have been assembled. On his part, Governor Wike said the Army were working with Amaechi to use federal might to take over the River State through the back door, even when APC was not contesting in the election.